InFocus has just announced some new pricing on several home theater projectors. Their new ScreenPlay 7210 announced at CES which uses the new DarkChip3, will be priced at $6,999. Meanwhile the ScreenPlay 7205 using the HD2+ DLP chip has been reduced to $4,999 (from $6,999) and the ScreenPlay 5700, featuring the Matterhorn 1024x576 DLP chip, has been reduced to $3,499. We normally think of the typical home theater as having a screen size in the range of 100" to 120" since most people don't have the space for much larger installations. But for those who have very large rooms and want to go with 150" up to 200" or larger screens, it is worth keeping in mind that the Sanyo PLV-WF10 might be the perfect solution. This unit is a WXGA resolution LCD projector (1366x768), so it has the native 16:9 format that most people are looking for. But in addition it is one of the brightest, and by far the least expensive of the superbright widescreen light cannons on the market these days. The WF10 is rated at a whopping 4000 lumens. But the key to its flexibility for larger scale home theater use is that it has two lamps on board. You can run this unit in low power mode, which is only one lamp at a time. By doing this you cut light output to 2000 ANSI lumens, which is ample for those looking to light up a 150" to 200" screen. Combine this projector with a neutral gray screen, and it looks great with or without indirect ambient light being present. The fan noise on the WF10 is higher than it is on a typical home theater projector. But in a larger room it becomes less of an issue, and if desired, some external sound damping can solve the problem. Furthermore, this model comes with a wide assortment of optional lenses including very long throw lenses. This gives you the option (assuming your room can accommodate it) to install the unit far behind the seating area. Doing this helps reduce the fan noise issue. And it also gives you the narrowest possible cone of projected light, which is what you want for the most even illumination of the screen. 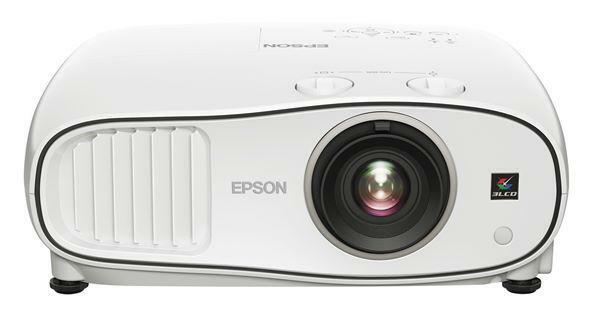 The PLV-WF10 is an excellent video projector for large scale home theater use. It is not on everyone's radar screen because of the 4000 lumen rating, which makes it appear to be an industrial strength powerhouse that is not appropriate for consumer use. We did not initially classify it as a home theater projector for this reason. But this was a mistake. Once you drop it into low power mode, it may be just the ticket for those going for the really big scale home theater. Furthermore, it is now selling for street prices far, far below its official retail price of $12,995. Accordingly, it is being added (quite belatedly to be sure) to our Highly Recommended list.